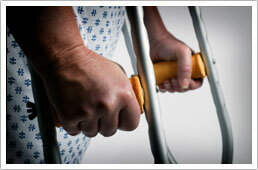 Personal Injury Lawyersno win no fee - call now! AYB LAW is different because we put our clients first. Client care is our number one priority. We will deal with your case from start to finish with the highest degree of professionalism whilst maintaining that personal touch which we know clients appreciate. To claim online complete our easy to follow questionnaire. To see how much you can claim view our compensation guide. Our policy explained in simple language. With British roads so busy and overcrowded, it is little wonder that road traffic accidents, and subsequent road traffic accident claims, occur with such frequency. Do not forget that we will ensure that we get you the maximum road traffic compensation your claim deserves. Road traffic accidents happen every day and even a minor collision where you were not at fault could cause a serious injury such as whiplash or broken bones. Here at AYB Law, our highly experienced team of personal injury solicitors have a great deal of experience in handling road traffic accident compensation claims. If you feel that our expertise could help you, then we welcome you to get in touch with us today and we will be happy to discuss the options available to you regarding road traffic accident claims. When it comes to road traffic accident claims, in fact all personal injury cases that we take on, we operate a ‘no win, no fee’ policy, meaning that should the claim be unsuccessful then there is no cost to you. We have a high success rate with all of our road traffic accident compensation claims and will ensure that your claim is handled by a personal injury solicitor with the relevant experience and knowledge. Our priority is our clients and we will ensure that the service you receive whilst making car accident compensation claims is professional, efficient and swift. Please do not hesitate to contact us today if you have been involved in a road traffic accident or for more information about car accident compensation claims and how AYB Law can help you to claim personal injury compensation after involvement in a road traffic accident.